auralis® is a complete MDM solution. auralis is suitable for use in virtual environments or on physical machines. By integrating SCEP (Simple Certificate Enrollment Protocol), a Server and a Client CA (Certificate Authority), you also do not need any additional servers. This saves considerable server license costs and administrative expenses for these systems. 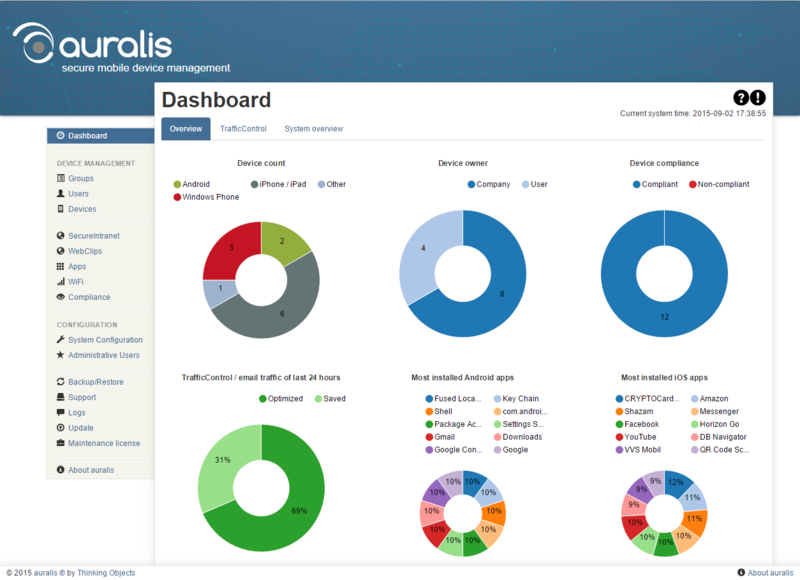 After installation, auralis is placed under Web-Services. Download UCS and activate auralis directly from the App Center.